Calling Rohingya members of 'extreme religion' an is insult, and ignores the reasons why Rohingya people fear returning to Myanmar, Dhaka officials say following comments by a Myanmar minister. On Tuesday, Thura Aung Ko, Myanmar’s religion minister, said Bangladesh was "not letting them [Rohingya] return," claiming the Rohingya Muslim refugees living in Bangladesh are being "brainwashed". “An extreme religion encourages having three or four wives and giving birth to 15 to 20 children," he said in a video published by Radio Free Asia. "After three, four, five decades in this Buddhist country, the Buddhist community will certainly become the minority." Summoning Myanmar’s ambassador in Dhaka, Bangladesh's Foreign Ministry blasted the remarks as reflecting the country’s “racist” policy towards its citizens, reported local media. Senior ministry officials told reporters that the current Myanmar government follows the previous military junta’s “racist” principle towards Rohingya Muslims in order to curry local popular support. Ministry officials added that such remarks insult Muslims, which is unacceptable, and also rebuffed the claim that Bangladesh is keeping the Rohingya from returning. In fact, the Myanmar stance against the Rohingya causes their unwillingness to return, they added. 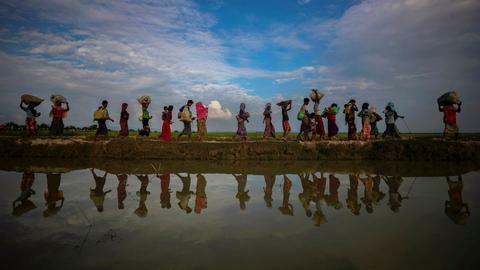 In November, a plan to repatriate an initial group of 2,260 Rohingya from camps in Bangladesh was suspended, as the refugees feared renewed persecution by the Myanmar government and military. 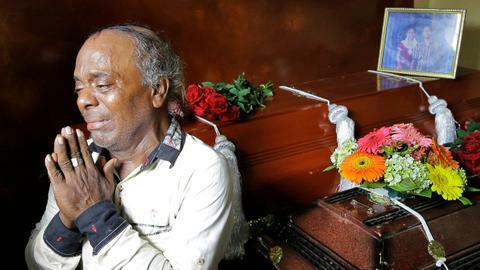 Since August 25, 2017, nearly 24,000 Rohingya Muslims have been killed by Myanmar’s state forces, according to a report by the Ontario International Development Agency (OIDA). Some 18,000 Rohingya women and girls were raped by Myanmar’s army and police and over 115,000 Rohingya homes were burned down and 113,000 others vandalised, it added. The UN has documented mass gang rapes, killings - including of infants and young children - brutal beatings, and disappearances committed by Myanmar state forces. In a report, UN investigators said such violations may have constituted crimes against humanity.